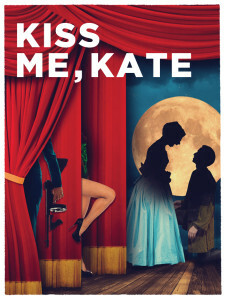 One of the greatest romantic musical comedies of all time, Kiss Me, Kate will soon be opening at San Diego’s Old Globe Theatre. Kiss Me, Kate tells the story of a touring company preparing to open a musical version of Shakespeare’s The Taming of the Shrew, starring a divorced couple whose offstage battles threaten to bring down the curtain. The Old Globe’s production is directed by Darko Tresnjak, who won a Tony Award for the Broadway hit A Gentleman’s Guide to Love and Murder (which got its start at the Globe) and it features such songs as “Another Op’nin’, Another Show,” “So In Love,” “I Hate Men,” and “Too Darn Hot”! 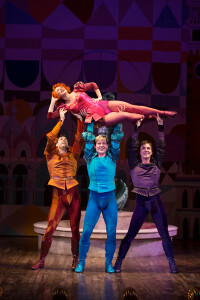 Kiss Me, Kate runs July 1st through August 2nd. Ticket prices start at $39. For more information, visit www.theoldglobe.org or call the Box Office at (619) 23-GLOBE [234-5623].